Carshalton Boilers have sponsored Carshalton Athletic FC for over 5 years now. When the opportunity arose to sponsor and take part in their charity football match we couldn’t refuse! So how did we get on? Sunday 1st July was a beautiful, if a little too hot, sunny day! With the temperature rising and months of training the teams were ready! Our team All4charity Utd, which included Director John Temple and gas engineer Ray! 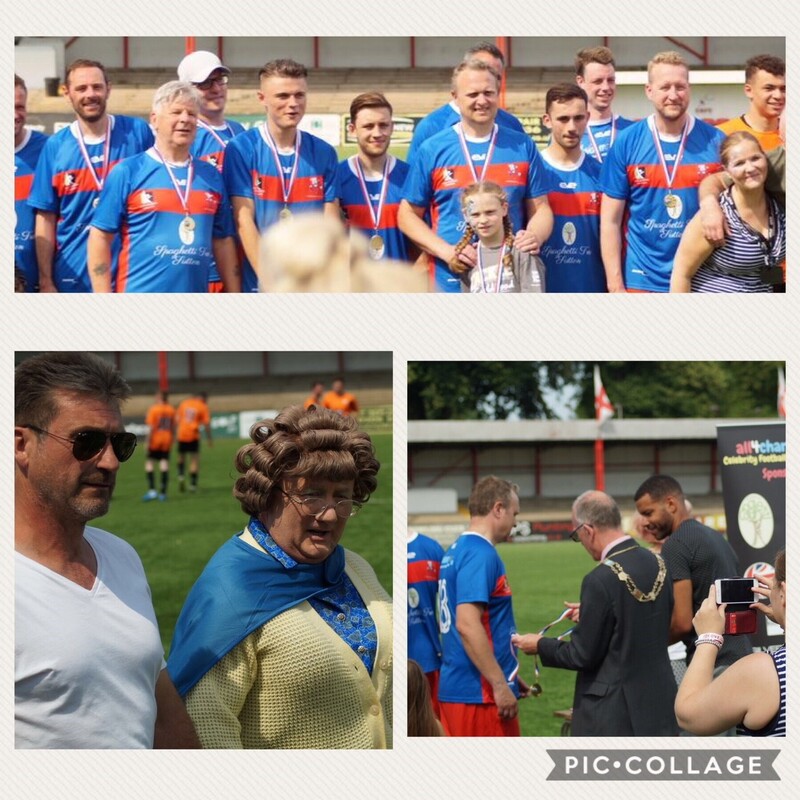 The Once Upon a Smile Celebrity XI team included, Jack McMullen (Waterloo Road), Charlie Quirke (Birds of a Feather), Ralph Little (The Royal Family) and Lloyd Griffith (Soccer AM) just to name a few. It was a tight game, lots of end to end football. Ray made a great tackle, taking out Jack McMullen, then set up the 2nd Goal with a great pass. Good clearances were made by our John-Paul with headers and sliding tackles, but the final score ended 5-2 to the Once Upon a Smile Celebrity Team. • The Teenage Cancer Trust – Providing young people with cancer specialised nursing care and support. • Once Upon a Smile – Providing families and children bereavement support in their time of need. • The Royal Marsden Cancer Charity – Raises money to support The Royal Marsden, a world-leading cancer centre, in their care of patients and life-saving research. Carshalton Boilers, based in Sutton, are a family business with a history going back 50 years! For all your plumber and heating needs please contact us today!